Alan Waxman's team seeks to prevent violence and chronic disease in neighborhoods through design and technological innovation. His paper, also published in Edition 5, describes his team's ideas and initial implementation of ideas designed to empower communities to assert more ownership of their neighborhoods' health data. Alan Waxman speaks to an important question: is it a problem that wealthy organisations purportedly acting in the community interest provide some services but receive data of significant value that they may monetise separately without sharing the proceeds with the sources of that data—and if so, what can be done to harness that value for the benefit of the source community? He proposes a solution: allow the collection of that data by community members, encapsulate the results in a distributed ledger system (“blockchain”) and sell the resulting data to accountable care organisations, government agencies, and the private sector. There are really three questions here: is Waxman's question a real problem, does his solution solve the problem, and does this solution have the potential for unintended consequences? Who owns data? Who should own it? GDPR and similar legislation preserve certain rights for data subjects, but in general datasets are the property of their collectors. That Google, the government, or an NGO own the data they collect isn’t really in question. Waxman's concern is that this cuts the data subject out of profit participation. On the one hand, orthodox economics would suggest that if the data subject finds sharing the data valuable to them enough to participate, a transaction that is equitable (as a contract freely entered into) has taken place. On the other hand, particularly in health services, it’s not clear the source of the data has real alternatives. Given the peril of non-participation meaning non-receipt of health services, and the lack of alternative markets for that data, the data subject is essentially contracting with a monopsony (a monopolistic “buyer”) and so isn’t really engaged in a fair transaction. Beyond economics, there is a reasonable argument that all participants to any transaction should benefit, and if this community health data is not able to be used quickly enough to benefit (some of) the individuals sharing their information, they are being used and receiving nothing in return. Regardless of consent, we rightly view those “contracts” as void and exploitative. Waxman is right: we have good reason to be concerned. Do systems like Streetcoin provide a viable alternative for the data subjects—and buyers? There is no model intrinsic to Streetcoin for the delivery of the proceeds to the data subject, nor any verification or accountability. Data Quality: As this author understands Waxman's idea, community members would collect the health information (if the “buyers” are expending their own resources to collect it, we can be sure they’ll find other approaches than Streetcoin). Without the ability to train and monitor the data collectors, collection protocols have no verification and the resulting data is unlikely to be particularly credible or useful. Most researchers have seen severe data quality issues in data sets collected by professionals (or volunteers they train); and these challenges could be exacerbated with community group volunteers. There are many ways in which poor oversight of the collections process can make the dataset unusable. Given poor health literacy in the general public, health conditions and other related terms have to be explained to the data subjects, and generally similar approaches and information delivered. Demographic information must be collected in a reliable and thorough fashion. The individuals collecting the information must be trained on HIPAA (in the US) or the various Health and Social Care Acts (in the UK) and their related confidentiality expectations, data handling requirements, and engagement protocols for children. Confidentiality versus value: In order for small-n data sets to be valuable, the data sets must include a host of personal information allowing factor analysis after sufficient numbers of observations have been combined (along with some sort of global entity identification to prevent duplicate observations, which was not apparent in the Streetcoin proposal). With that level of information, drawn from a confined geographical area, there is every chance that the information will be individually identifying. The promise of confidentiality is misleading, unless insufficient demographic data is collected—at which point the data is of little value. Moreover, it’s not at all clear that the data cannot simply be concocted from Census data and the imagination of random individuals desperate for an asset to sell. Without verification and auditing, the opportunity to sell gossamer strands of ginned-up health data will almost certainly attract people willing to do so without going out into the community. That verification and auditing are incompatible with confidentiality at such an arm's-length as Streetcoin envisages. Trust and the obligation for transparency to data subjects: Depending on how this is presented to the data subjects, the individuals collecting the data may have an obligation to share the eventual recipients of the collected data with the data subjects. This is not included in the description of Streetcoin. In the absence of this, we are asking the general public to trust random individuals with their health data, promising them that the data is being kept securely and that they will receive some financial benefit with no verification regime or institutional liability whatsoever, moreover for sale to buyers unspecified and unknowable. The opportunities for fraud are obvious. Financial accountability is lacking: There is no regime in place within the Streetcoin proposal to handle the funds paid for this data, account for it in an audible way, and monitor its delivery to data subjects in the community. It’s not even clear that any programme sponsor would know how many Streetcoins had been “mined”, and thus know to enquire as to their use and the funds that had been exchanged for them. Could blockchain discourage health research and investment in less affluent communities? Obviously the previous section described a number of potential adverse effects to selling health data via blockchain, but another that speaks to the original question put forward by Alan must be discussed. As it is, marginalised communities often do not receive the same amount of research effort, pharmaceutical investment, or health services delivery, as do the middle classes. Streetcoin’s mission is to extract additional funds from the data collection process that fuels these efforts, to deliver those resources to the communities. That is a laudable goal, but if under the status quo there is a paucity of those efforts, what will be the impact of increasing the cost of engaging these communities? Certainly nowhere in the current use of Streetcoin has there been a suggestion that the proposed health data currency would transform those existing dynamics that lead to this sort of underinvestment. It’s hard to imagine the existing inequalities will not be exacerbated when additional disincentives are presented to the already somewhat-disinterested institutions that neglect these communities. Waxman has identified a real issue in the allocation of value derived from community health data. It’s not at all clear that regulation can successfully intervene, leaving privately-implemented programmes like the one he proposes. The description of a new approach like Streetcoin sets out a well-meant, laudable effort aimed at a concerning problem, but in the end is probably not a solution to it, and may cause harm along the way. 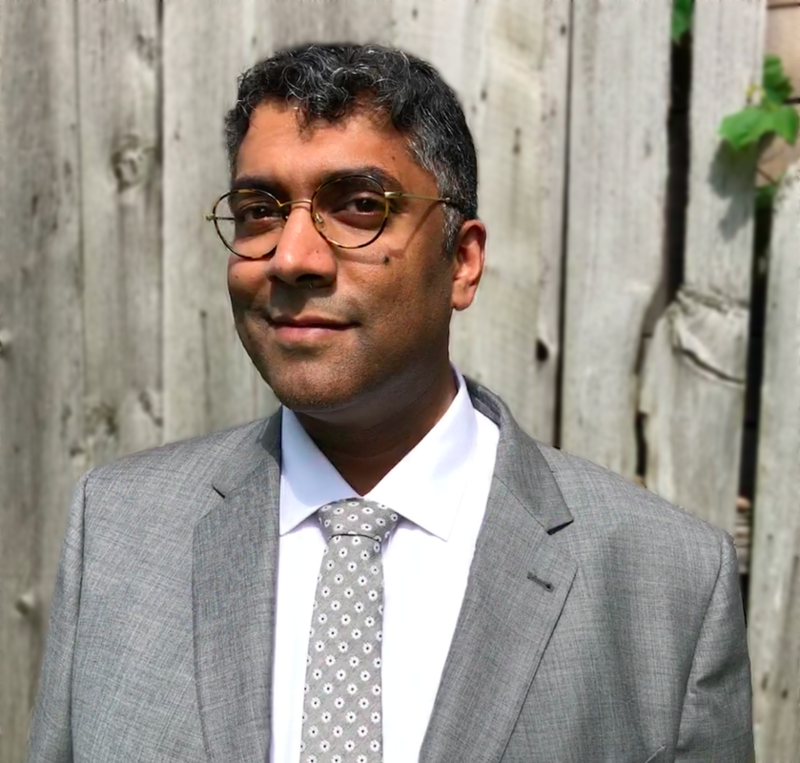 ​Rahul Sinha is an economist, data scientist, and programme evaluator, who also writes on municipal policy issues in housing, education, and transportation. He has led evaluations in sectors as diverse as municipal procurement reforms, energy infrastructure projects in the developing world, and initiatives to increase access to higher education for non-traditional students. Prior to this, Rahul worked as a financial macroeconomist at the Center on Budget and Policy Priorities in Washington DC. He is currently fascinated by opportunities to build feedback loops between municipal/subnational governments that encourage South-North learning.